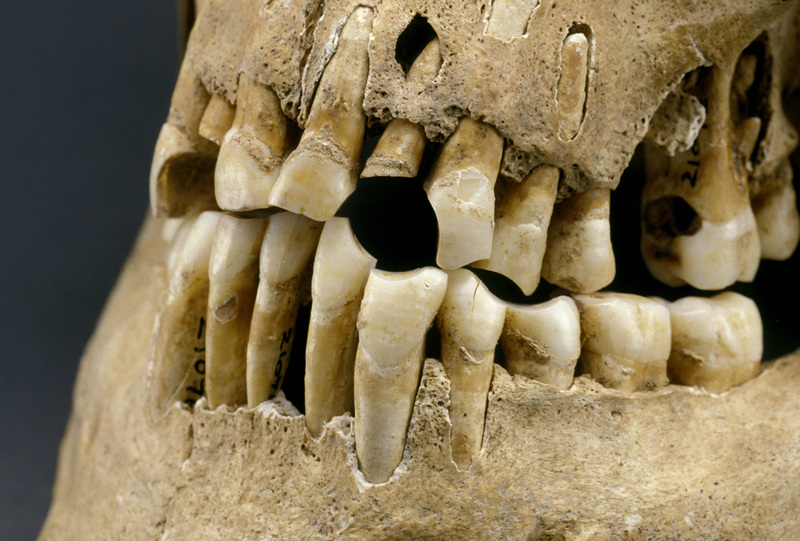 Clenching a clay pipe in the mouth wore a hole into this man's teeth. Patuxent Point site, Calvert County, MD, ca. 1660-1680.